This set of DKN rubber hex dumbbells contains pairs of 15kg, 20kg and 30kg weights which have an anti-roll hexagonal design and are tough and durable to withstand intense workouts. The pinned heads ensure great durability and the knurled handles are ergonomically contoured and made from chrome-plated solid steel so you can grip them well. 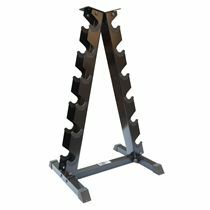 The cast iron heads come coated with high-grade rubber which increases their durability and protection. 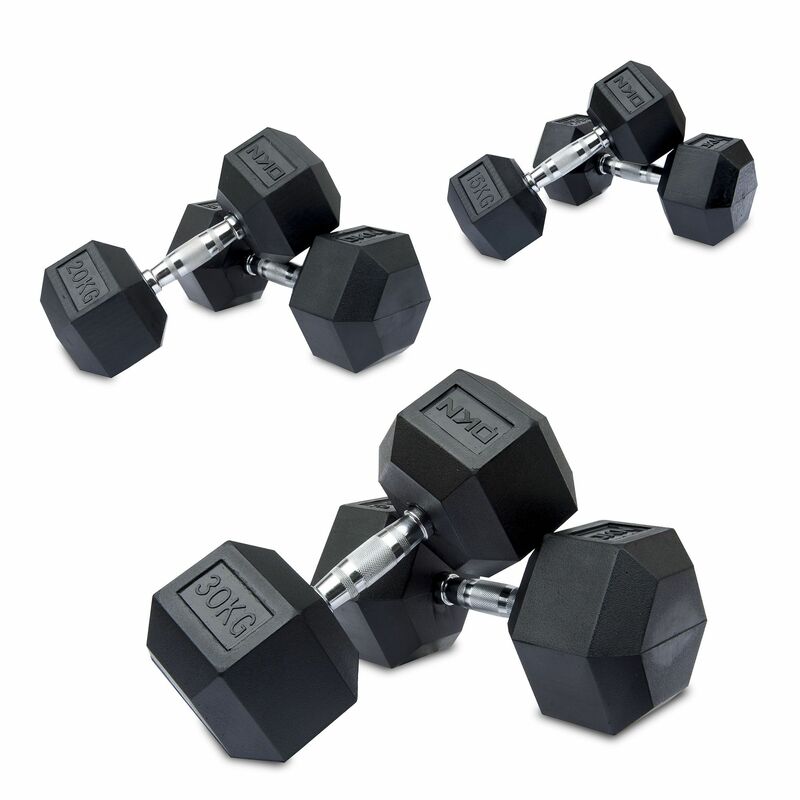 These easy-to-clean dumbells are suitable for domestic and light commercial use. for submitting product information about DKN 15, 20, 30kg Rubber Hex Dumbbell Set We aim to answer all questions within 2-3 days. for submitting product information about DKN 15, 20, 30kg Rubber Hex Dumbbell Set. We aim to answer all questions within 2-3 days. If you provided your name and email address, we will email you as soon as the answer is published. for submitting product review about DKN 15, 20, 30kg Rubber Hex Dumbbell Set.